In 1984, at the height of the Cold War, Ukrainian chess journalist F.S. 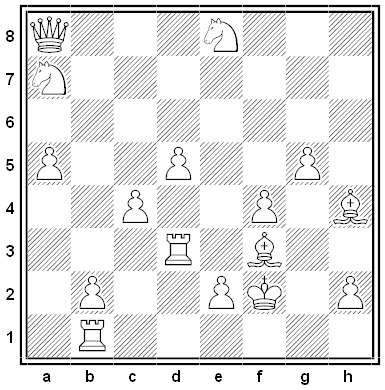 Bondarenko dedicated this puzzle to English chess editor A.J. Roycroft in the spirit of peace and goodwill. White’s army is arranged as above. 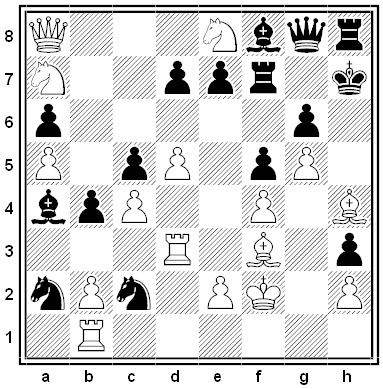 Add Black’s army (the standard complement of 8 pieces and 8 pawns) so that no piece of either color is under attack.